Brand message repetition has long been a key to advertising success. The rule of thumb is that your target audience must see your message 5 to 7 times before they believe it. To achieve this objective, today’s marketers must distribute their content on social media because it’s where their prospects spend their time, over an hour a day!!! Yet with the flood of content hitting your target audience on social media your message’s repetition can feel like a hammer that just keeps banging. This shouldn’t come as a surprise. Only 38% of marketers rate their content as effective. 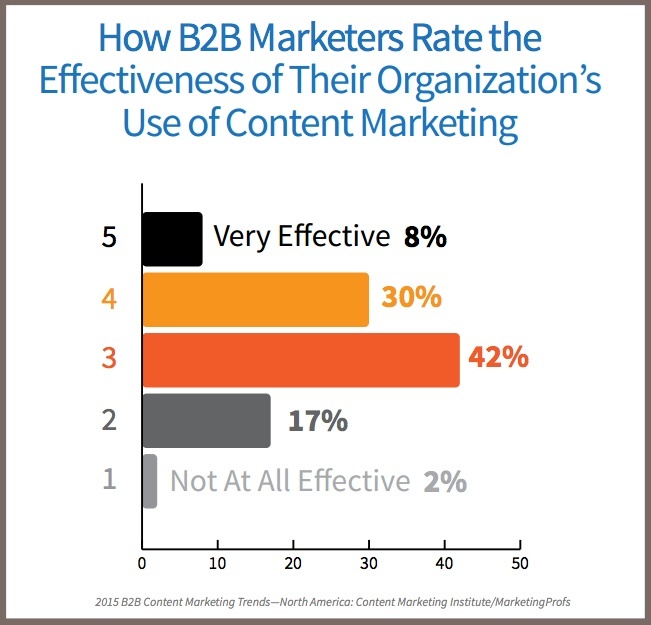 Even more amazing, 19% of marketers rate their content as not effective according to Content Marketing Institute and MarketingProfs’ 2015 B2B research. 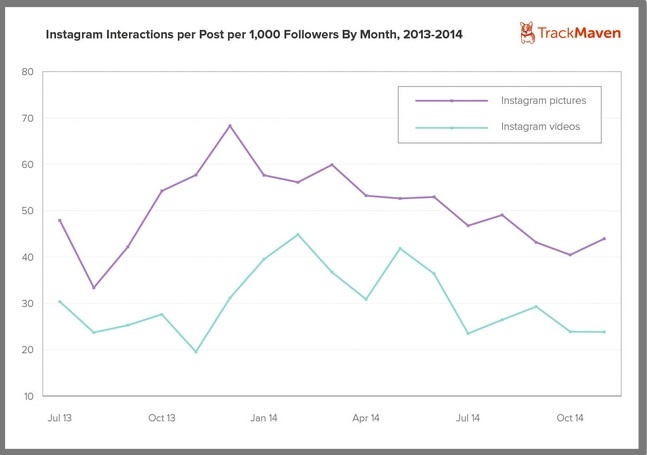 While brand-generated content distributed across social media continues to increase, it yields the lowest engagement to-date according to Track Maven analysis for 2013 and 2014. Brand-generated content by channel increased 78%. Interactions per post per 1,000 followers decreased 60%. Bottom line: More content distributed across more social media platforms doesn’t translate to greater consumption or interaction. As a result, the increased content creation and distribution costs don’t help your business. Social media quantity can become TOO much brand communication. Remember participants use social media primarily to communicate with family and friends. While you need a variety of different social media platforms to reach your maximum target audience, avoid increasing your social media quantity to the point where people are blind to it. 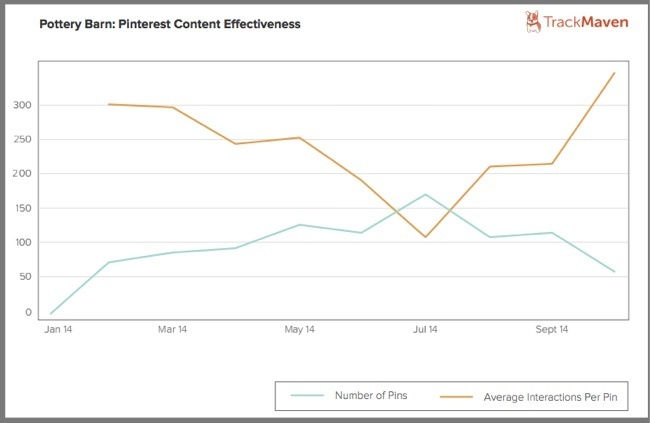 To appreciate the power of quality social media content, Pottery Barn posted 60 Pins in October, 2014 that yielded 343 interactions per Pin on average; over 3 times their average engagement in July. YET, social media quality needs to reach a broad enough audience to drive traffic and ultimately sales. 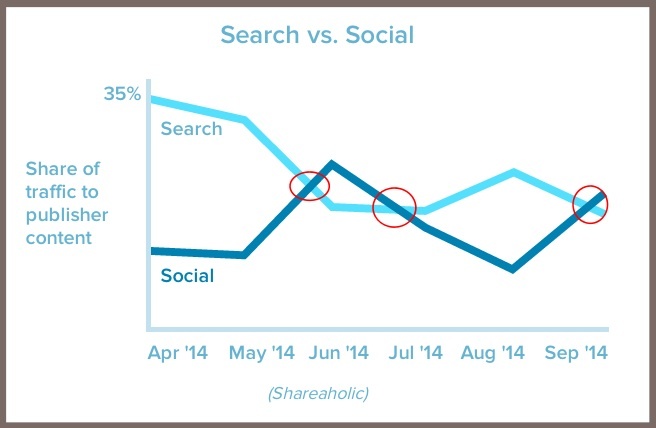 Recently, social media passed search in terms of driving more traffic to websites. This makes social media a key element for content marketing distribution. To understand how to balance social media quality vs quantity, let’s examine best, average and lowest social media engagement. 36% of Facebook content receives 250+ interactions. Of note, Facebook, sponsored content accounted for the vast majority of posts with 250+ interactions. NOTE: Track Maven’s data did NOT include YouTube. This matters. 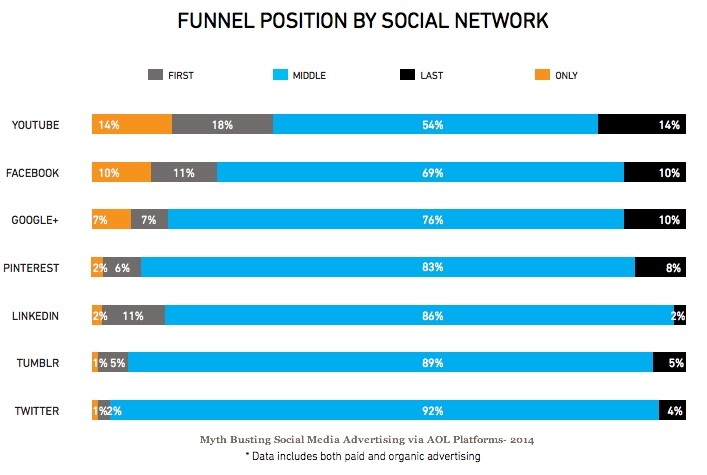 YouTube is the social media platform most strongly associated with sales results according to AOL data. YouTube is the #2 search engine. 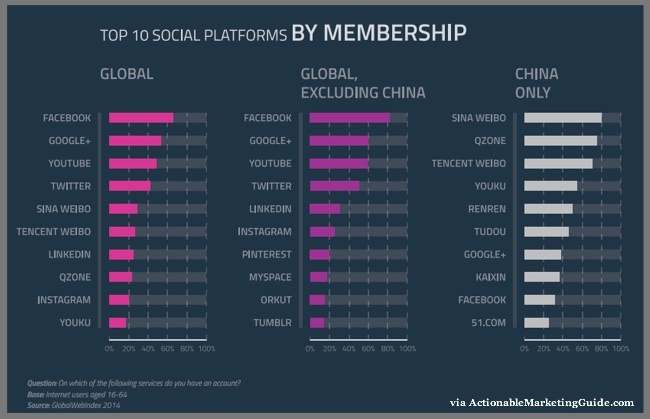 Global Web Index ranked it in the Top 4 social networks globally. • Target your content to meet your audience’s specific needs. Provide the information they actively seek, before you even know they are in market for your goods and services. 64% of shoppers surveyed researched products and retailers online prior to their store visit. This means the 5 basic content types: give them complete product information, answer customer questions, show customers how to use your products, help customers style your products, and share customer ratings and reviews. BTW: Online ratings and reviews influenced 48% of shoppers, up 45% from 2012 based on Baynote research. To help you, here’s more information regarding social media ratings and reviews. • Use visual content on social media to attract attention and engage your audience. People are visual beings. Improve your content’s ability to be seen with an image. • Support your content distribution with paid advertising. Owned social media engagement, namely blogs, performed in the middle according to Track Maven. No surprise since as a longer form of content, blogs support search optimization. They provide entryways to your offering. Also, blog owners have moved away from comments as an indictor of blog success. 43% of professionally marketed blog posts receive less than 10 interactions. 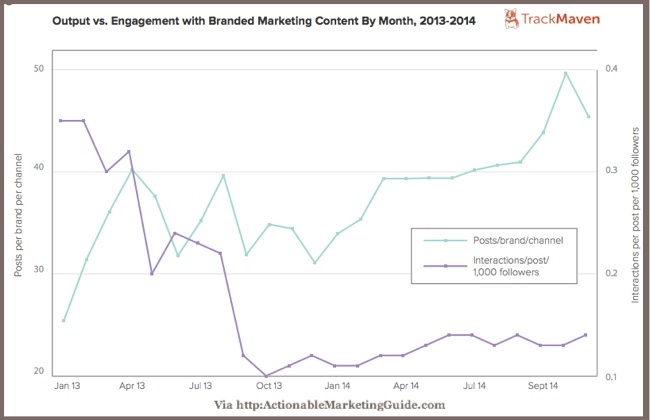 23% of brand-generated blog posts receive NO interactions. 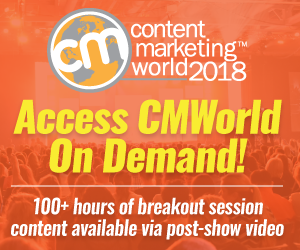 • Broaden your content distribution beyond owned platforms to reach new prospects. Use a combination of owned, social media and other third party platforms to reach a bigger potential audience. 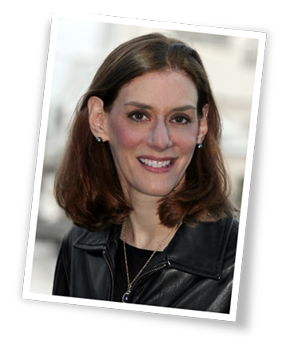 • Optimize your content to be search friendly. This provides other entries to your content that aren’t measured by this data. The lowest social media engagement according to TrackMaven occurred on Twitter. 73% of tweets receive 10 or less interactions. This should be no surprise since the half-life of a tweet is VERY SHORT. Unless participants are targeting your thought leaders or brand, the chances are small that they’ll see your tweet. It’s why Guy Kawasaki recommends tweeting every 8 hours. • Provide sufficient information to engage your key prospects. • Target your social media distribution to maximize results. Optimize your content based on the social media platform where you’re placing it. Also, select social media platforms based on your target audience’s preferences. Encourage your audience to take the next step in the process. Links can be effective means to get participants to your website or landing page. 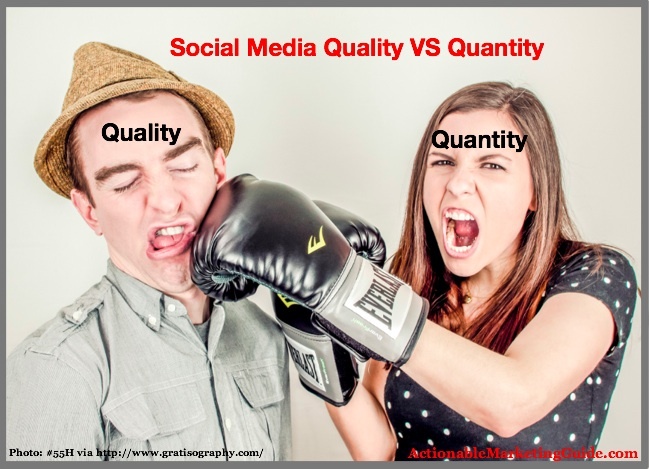 The bottom line for marketers is to balance your social media quality with quantity. To maximize your social media results, continue to test new types of information, presentation and social media platforms. Then track your social media results to determine what works best for your business. Which do you think is better: social media quality or quantity? Why do you think so? Tags Blog, Chart, Facebook, Instagram, Track Maven, Twitter. Bookmark the permalink. Excellent post! I guess you have to stay in the “happy medium” when it comes to social media engagement. You can’t automate everything either. I think knowing your customer and their needs is the most important.